Winnipeg Transit has handed over the private travel history of bus riders to law enforcement without requiring a warrant, CBC News has learned. Members of a western Manitoba aboriginal community are peacefully protesting work on the Bipole III hydroelectric line, a project that requires the construction of a transmission line, two new converter stations and two ground electrodes for those stations. CROSS LAKE, Man. – Manitoba Premier Greg Selinger apologized to a northern Aboriginal community Tuesday for damage caused by a hydro-electric dam. Selinger agreed to visit Cross Lake First Nation following a six-week occupation of the Jenpeg generating station last fall. Manitoba Premier Greg Selinger says he’s willing to consider the demands of protesters from a northern First Nation occupying the grounds of a key power-generating station. 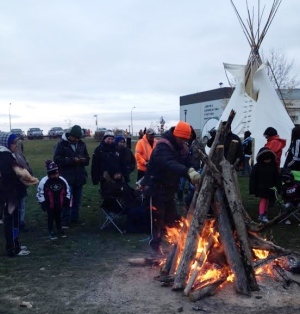 Members of Pimicikamak First Nation gather around fire during occupation of Manitoba Hydro Jenpeg station. 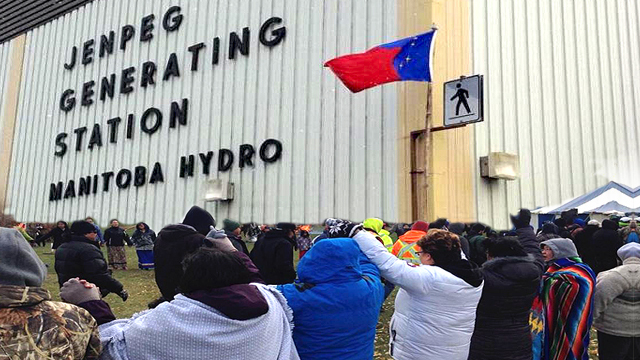 Protesters have forced employees of Manitoba Hydro out of the Jenpeg generating station in northern Manitoba. The protesters, from Pimicikamak Cree Nation, delivered an oversized evicted notice on Friday to staff at the station and the employee housing complex, both of which are located on the Nelson River in Pimicikamak territory. “The building is empty, locked, undamaged and under the Pimicikamak flag,” states a release from the Cree Nation, which is located approximately 525 kilometres by air north of Winnipeg. 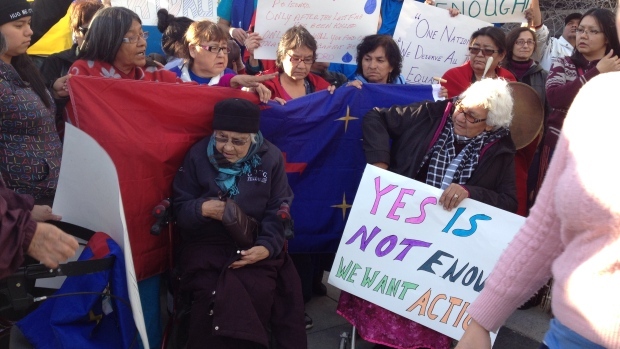 Members of the Pimicikamak First Nation protest against Manitoba Hydro, Oct 15, 2014. The Pimicikamak First Nation has served what it is calling an “eviction notice” to Manitoba Hydro workers. In a statement released Wednesday, the First Nation said some of its members would occupy the grounds and staff housing complex at the Jenpeg generating station until their concerns are addressed by Manitoba Premier Greg Selinger and Manitoba Hydro CEO Scott Thomson. 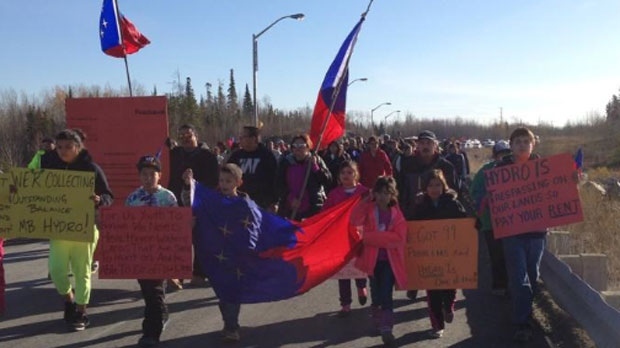 Pimicikamak First Nation wants greater benefits from northern power generation. They also have concerns about permanent flooding and shoreline damage. Members of a northern First Nation have begun occupying a hydroelectric dam over longstanding grievances with Manitoba Hydro. The Jenpeg Generating Station is located 19 kilometres from the Cree community of Cross Lake. 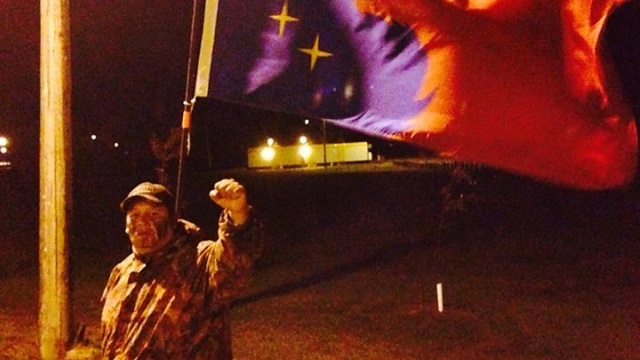 Tommy Monias lives in Cross Lake and is taking part in the occupation. 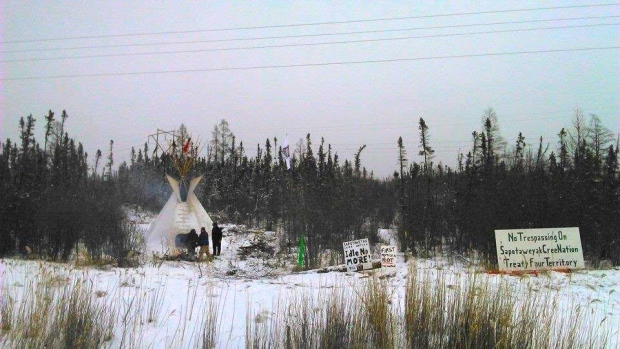 Monias told APTN National News late Sunday that the occupation started Friday and people have been maintaining the camp in shifts, with around 10 people at the site at any given time.